Call us on this phone number 020 3746 5234 right away! Contact our expert and polite customer service representatives. Contact them in our website, meet your questions and inquiries 24 hours a day. Get the specific information about our high quality Islington N7 sofa and upholstery cleaning company immediately! RA Sofa Clean has been on the market for about 10 years. Our rich experience and high motivation have brought us where we are standing right now: on a leading position in the upholstery and sofa cleaning market. 96% of the feedback we receive is positive. And we always adopt customer’s opinion and recommendations in our progress and development plan. We believe your satisfaction is the best price we receive from our top-notched upholstery and sofa cleaning service in Islington N7! After giving us a call, our kind customer support representatives will send a team of two cleaners to your property. 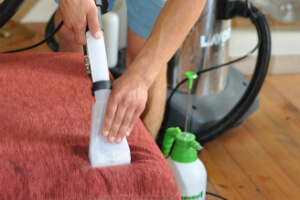 The experienced Islington N7 upholstery and sofa cleaners will inspect the furniture to offer you the quickest, cheapest and smartest solution specially for your case. When you receive the final quotation, you will be given a date for the visit, too. Know that we can suit anyone’s schedule, because we work in weekends and holidays, too. If necessary, we can arrange same-day or emergency services, too. You don’t have to be in the property. We offer key pick-up, too! Why don’t you just drop with the pointless efforts to deal with the sofa stains on your own! Better call our premium Islington N7 sofa and upholstery cleaning company now. Use this number 020 3746 5234 for direct reservations now!